A blood donation Camp was organized in association with Orange Cross & Rotary Blood Bank at Sri Venkateshwar International School on 20th August, 2011 from 10 a.m. to 2:00 p.m. SVIS comes forward with this initiative annually around Independence Day to commemorate the martyrs who laid down their lives for our nation. It was exhilarating indeed to see how motivated the small students were who came with their parents & sat by their side while they donated blood, for this noble cause. A slogan writing competition, which was also organized for the donors, saw a large participation. Not only the parents of our young students, but their extended families, some from overseas too joined in this virtuous endeavour. 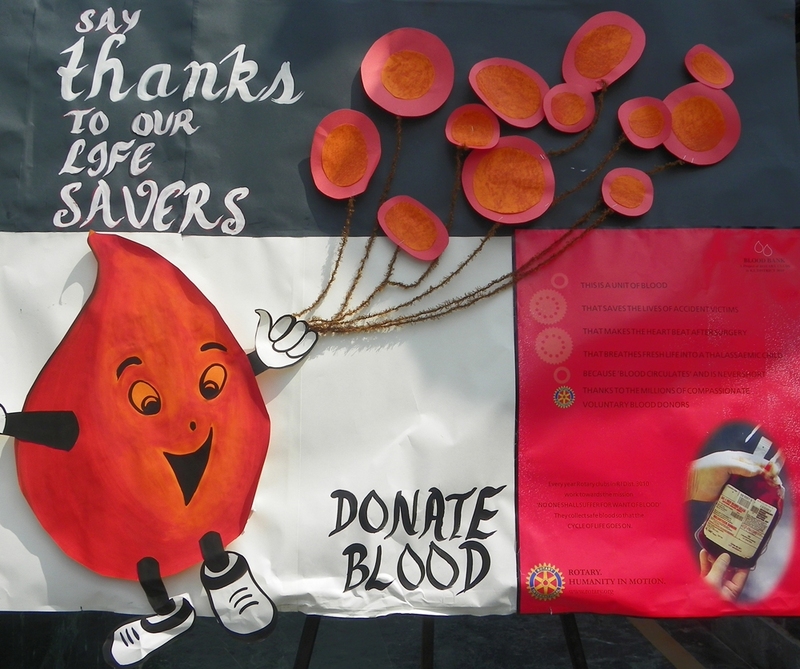 The blood bank was able to successfully collect 35 units of blood from the school campus. Such venerable tasks will always mark the calendar of SVIS, due to the motivation & driving force of the School Chairman, Sh Sailander Solanki & the Principal, Ms Nita Arora as they firmly believe that, “Nobody can do everything but everyone can do something”. DD SHOWED RECORDED COVERAGE OF CWG INDTEAD OF LIVE COVERAGE?